There are several ways to ask something to be explained with What is that/this/it? in French. What is it? / What is that? / What is this? What's that? / What's this? / What is it? Literally "what is it that it is? ", it is pronounced [kess kuh say]. Note that est-ce is simply c'est inverted. You can use C'est quoi [chose] ? or Qu'est-ce que c'est [chose] ? C'est quoi le Sacré Cœur à Paris ? What is the Sacré Cœur in Paris? If you want to ask what something is by name, simply add the name of the thing after c'est quoi or qu'est-ce que c'est. These are not the most elegant questions, but probably the most commonly used. What is that? / What is this? 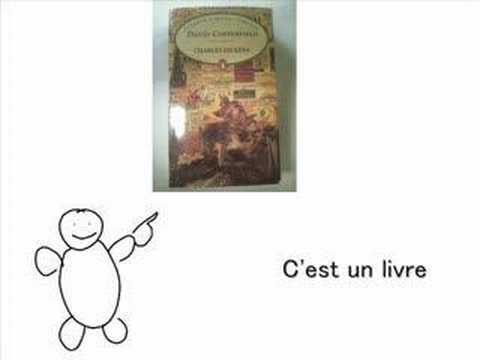 Qu'est-ce que c'est que cela ? Literally what is it that it is that that? (quite a mouthful! ), this is pronounced simply [kess kuh seksah] and [kess kuh sek sullah]. Note that ça is the shortened form of cela. Cela is quite formal, so you'll hear ça used much more frequently. Qu'est-ce que c'est que le Sacré Coeur à Paris ? What is the Sacré Coeur in Paris? Qu'est-ce que c'est qu'un stylo ? What's a 'stylo' - pen? If you want to ask what something is by name, simply replace ça/cela with the name of the thing. Remember to contract que into qu' if followed with a vowel or silent h.
This shorter form of the question is actually more formal in French, and will therefore require the more elegant cela. You wouldn't say Qu'est-ce que ça ?. Qu'est-ce que le Sacré Coeur à Paris ? Once again, if you want to ask what something is by name, simply replace cela with the name of the thing. When asking What is this/that? in the context of a choice, as in Which one is that?, you will then use Questions: Quel, quels, quelle, quelles = Which / what ?. Are there 4 ways to ask To ask what something is by name? I had to organize as follows to make it easier to understand. Please confirm. Thx. Qu'est -ce -que c’est que la voiture? Qu’est-ce-que c’est que la voiture dans la rue? Can someone please explain why the following is marked incorrect? I'm having the same issue that Michael appeared to have in December but it's still outstanding for me. If you want to ask what something is by name, simply add the name of the thing after c'est quoi or qu'est-ce que c'est. These are not the most elegant questions, but probably the most commonly used. I really thought I captured all possible correct answers, but obviously some of them had passed me by. Can someone please explain why the following structure is marked incorrect when testing...Qu'est-ce que c'est la Sorbonne ?....Thank you. If you're unsure of the gender you use the male version, normally. J'ai une souris blanche, elle s'appelle Auguste, c'est un mâle. J'ai un hamster noir, il s'appelle Louise, c'est une femelle. Qu'est-ce que c'est le Quai d'Orsay marked incorrect in quiz. "If I understand the lessons correctly, there is no difference between Qu'est-ce que c'est que [chose] and Qu'est-ce que c'est [chose]. For this question Qu'est-ce que c'est le Quai d'Orsay is marked incorrect, and the correct answer is given as Qu'est-ce que c'est que le Quai d'Orsay. Is there a difference in this case ? Thanks"
If you use the 'Report It' button in your Correction Board it will link directly to the specific quiz you're referring to and will make it easier for us to answer you. What is your specific problem? Without a specific example I can't help you. The educational session appears to have multiple ways of asking ‘what’s this/that’. When I complete the quiz I am not sure why one answer would be correct in any question. i randomly ( to me) get the answers tight or wrong. Can you post a sentence you got wrong? What is the difference between Qu'est-ce que La Sorborne and Qu'est-ce que c'est La Sorborne? Why is the second incorrect? Sorry. Tired and took a while to see straight. My mistake. I know both are correct. On the test I mistakenly took the wrong bait.